Find out where to go and what to do in the Dreaming City to access Ascendant Challenge Week 6 for Destiny 2: Forsaken. It’s a new week for Destiny 2: Forsaken, and as usual that means new set of bounties, hidden chests and a fresh Ascendant Challenge. As usual, you’ll need to grab the latest Ascendant Challenge quest from Petra Venj, who this time is hanging out next to the Divalian Mists fast travel point. Things are starting to get spooky in Destiny 2’s world as we head towards the Festival of the Lost, and Petra wants you to investigate some nasty rotten flowers. Finding the right place to visit can be a bit confusing, but in this article we’ll teach you were you need to go to complete the Ascendant Challenge Week 6 in Destiny 2: Forsaken. Once you’ve grabbed the quest from Petra Venj in Divalian Mists, you need to make your way to the Chamber of Starlight Lost Sector in Rheasilvia. 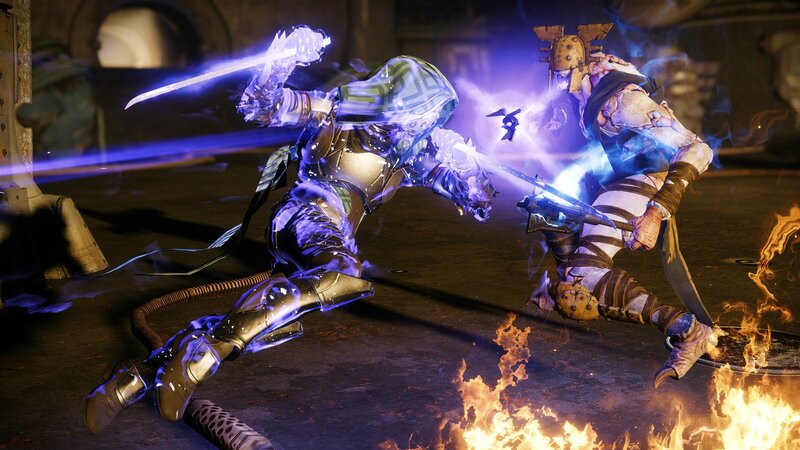 Much like the Ascendant Chests, you’ll need Tincture of Queensfoil to activate the Ascendant buff if you want to complete this mission, so make sure you’re stocked up before heading out. Take the path towards Rheasilvia from the Divalian Mists, travelling through the rocky tunnel. As you come out into the region and approach the bridge, drop down to the path to the right instead of crossing and follow it along to the Lost Sector. Make your way through this and you’ll reach an expansive room with a few enemies. The portal will spawn behind the Lost Sector chest reward if you have the Ascendant buff. Jump in and you’ll be teleported to the Cimmerian Garrison for the Ascendant Challenge. Once inside you’ll need to blast or dash your way through a horde of enemies and follow an orb through some platform jumps before fighting three Taken Knights. These are the core of your challenge, and the only enemies you need kill. The first is flanked by respawning waves of Shriekers, but you don’t need to kill them to progress so focus on the big guy instead. Take him out and you’ll be challenged by two more shortly after. Bring these down and you’ll be rewarded with a chest, a fine celebration completing Ascendant Challenge Week 6! We have loads more Destiny 2: Forsaken guides for you to help you conquer the Dreaming City. Over here you can learn how to get the Lunas Howl handcannon, while this guide will teach you how to enter the Shattered Throne. Looking for Toland? We can help you with that too!